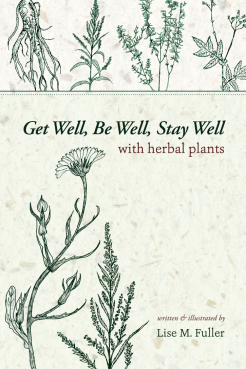 This book is a simple to use guide to growing and preparing plants for food and healing. Plants can be used to prevent sickness, help one recover from illness and maintain balanced health. This easy to use book provides illustrated instructions on determining exactly what plants are needed and how to prepare them properly to get better and maintain a healthy body. Lise M. Fuller: After living in many different places, Lise settled in the Adirondack region of New York State. Pursuing her love of gardening and herbal plants, she studied extensively with many herbal teachers. She now teaches and encourages others to learn about the herbal plant world. She has combined her two loves in life in this book: herbal plants and art with hopes that people will be inspired to grow and use herbs.